So, you have made it through a whole blissful year at home with your baby and the time has come to return to work. For a lot of parents, this transition can be extremely difficult and stressful. You worry about missing milestones, reuniting with coworkers, and juggling work and home life. Starting early and choosing the right daycare for your lifestyle can help ease the transition for you and your child. There are a few options for child care out there, from a home daycare, a child care center or a friend, grandparent or neighbor. Visiting before the big start day and having discussions about expectations is very important to making you, your child, and your childcare provider comfortable. 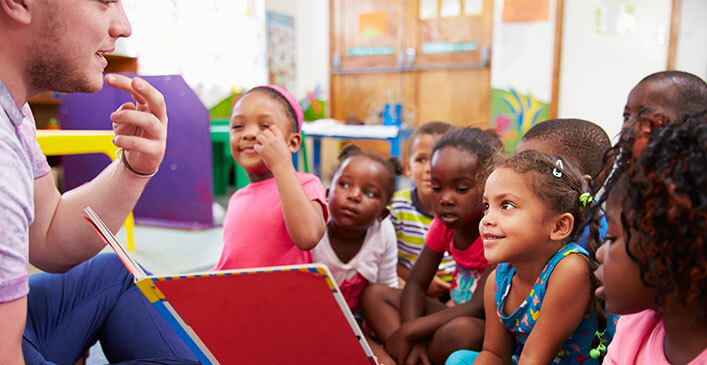 Different child care providers have different expectations than others, so it’s important you go over them thoroughly so everyone is on the same page. A contract is often drawn up beforehand to avoid any confusion. If you arrange to drop your child off at 8 a.m. and you are running late, call or text your care provider. They worry about your child as much as you do. They also run on a schedule; whether it’s time to pack up and go to the playground or the weekly trip to the library, they have a schedule to keep their day running smoothly. With a delayed start to the day, it can disrupt not only your child, but all of the other children they care for. The same goes for late pick up — don’t stop at the grocery store to grab dinner on your way without checking in with your sitter. Your care provider has a life outside of babysitting as well. Expect to be charged extra for the day you are late, and if becomes a regular occurrence expect rates to increase or to be asked to make other arrangements for your child. Your care provider’s day is just as long and hard as yours was at work, asking them to work longer is grounds for more compensation. Just like at work, if you need to take a sick day or are off for a vacation, you have to call and notify your care provider. Even if it’s a middle-of-the-night text — the more notice the better. Your child care provider needs to plan their schedule, buy food according to the number of children they have each week, and prepare accordingly if your child isn’t going to be with them for the day or week. Some care providers still expect to be paid for the days your child is unexpectedly absent. This should be discussed prior to selecting your sitter and an agreement needs to be decided upon. It is inevitable your child will require some form of discipline at one point or another. Kids will be kids, and part of raising children means they need to be taught right from wrong. Having a clear outline of what you both feel is appropriate discipline is essential to trusting someone with your child. Most common forms include time outs (length to be agreed upon), taking away an item of importance, and a stern talking to. Your child should feel safe with their sitter at all times. If they say they are being yelled at all the time or having items taken away for no reason, you need to have a discussion with your care provider. Discussing discipline that works at home can be a great help for your sitter to deal with your child in a time of need. If your child is violent or continues their disruptive behavior, it puts your care provider in a tight spot — they are responsible for keeping all the children in their care safe. Other measures may be required if your child has behavior issues. All should be discussed with open minds and with the wellbeing of the child at the forefront of the conversation without judgement. Sometimes pick-up time can be hectic, so having a discussion with your care provider may not be possible at that time. Having a communication book that goes back and forth between parents and caregivers can be a great way to stay in touch and involved with what your child does all day. Emails can be a great alternative if your caregiver doesn’t have time during the day to fill out a book. Involving your child in the correspondence is a great way to help them feel comfortable at the sitters, too. Telling your care provider how well your child slept the night before, if they didn’t eat breakfast, or have a special event coming up are all important to help your sitter understand your child. If they were up all night and you drop them off cranky, they need to know they’ll need an early nap or more quiet time that day. You can also use this line of communication to have your child work on specific tasks during the day. For example, if your spouse’s birthday is coming up, they can work together to make a card or draw a picture that may be harder to keep secret if made at home. Your care provider doesn’t want to be in a position where your child spills their milk and there isn’t a change of clothes in their backpack, so ensure you always send your child with backup. If your child is in diapers, send a whole box and have the daycare let you know when they are down to the last 10 and restock. The parent is also expected to provide wipes, formula, extra clothes and diapers for the most part. You should also discuss dietary requirements and allergies with your provider. If your child can’t eat dairy or gluten, sending along a small carton of almond milk or a frozen loaf of gluten-free bread can help avoid mistakes at lunch time and help your child feel included eating food similar to the rest of the group. It should go without saying that you need to arrange a payment schedule with your daycare, but in the hustle and bustle of balancing work and home life, it’s easy to forget to run to the bank for cash. Your child care provider makes a living by caring for your child, and in turn expects to be paid when agreed upon. Making a late payment or waiting so long they have to ask for it isn’t fair to them. If you are unable to make it to the bank on time, you can make an easy money transfer online to make sure they can cover their costs on time. If you feel their rate is unfair, or not what you expected, this needs to be discussed before the first day of care. Have an open conversation about what you feel is fair and why. You can work together to come to an agreeable amount. It can be stressful to return to work and entrust your most prized possession to another person. Finding someone you trust and can rely on to keep them safe, happy and healthy is paramount to your family. Treat your care provider with respect, kindness and loyalty and they will do it right back to you. It will grow into a friendship that shares a precious bond over your little one that will carry on for years to come.